Charm your friends, delight your family or impress your special customers by gifting a box of our Ridiculously Rich cakes. You’ll be their new flavour of the month! Give your favourite people the best gift of all… cake! Our gift vouchers are the ultimate gift for cake fanatics, treat lovers and those with a secret sweet tooth. Simply buy our cake box gift voucher and your lucky chosen person can come online and pick their favourite flavour. Easy peasy cakey happiness guaranteed. 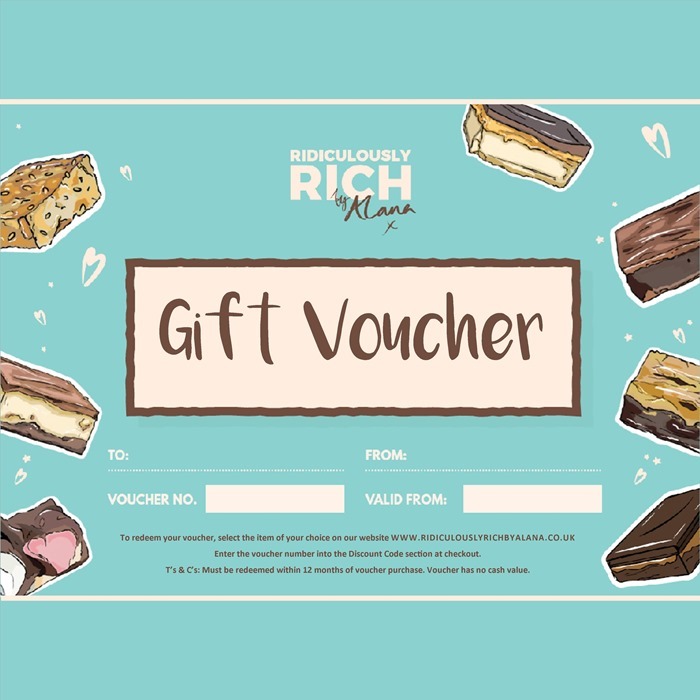 If you have any questions about how to purchase or redeem a Ridiculously Rich cake gift voucher, please get in touch. 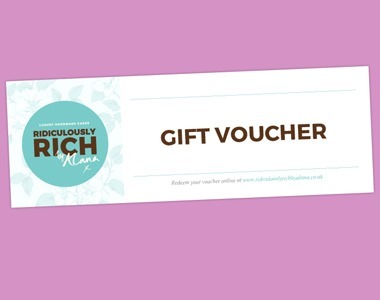 NOTE: This Gift Voucher is a printable E-Voucher and no physical voucher is included.